A condo development in New York City's SoHo neighborhood is charging $1 million for a parking spot. The New York Times reports the 10 underground spots at 42 Crosby St. will cost more per square foot than the apartments upstairs. The parking spots will run between $5,000 and $6,666 a square foot. The three-bedroom apartments will cost around $8 million to $10 million, or about $3,100 a square foot. Brokerage firm CEO Shaun Osher says there are "few to no options" for parking in SoHo, just northeast of the World Trade Center site. He says his firm is "looking at setting the benchmark." The million-dollar parking spots will be offered to buyers at the 10-unit luxury apartment building being developed at Broome and Crosby Streets, itself the former site of a parking lot. The parking spaces will cost more than four times the national median sales price for a home, which is $217,800, according to Zillow. 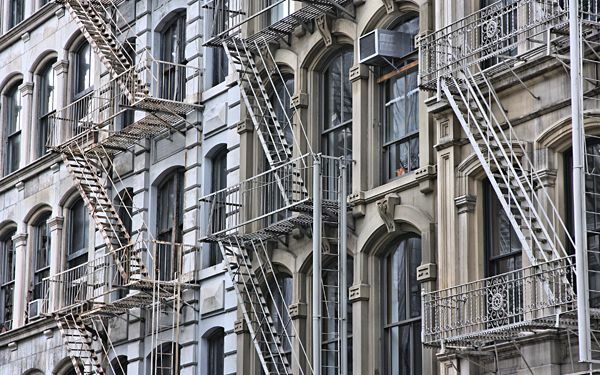 The Times reports that median sales price of a Manhattan apartment reached $920,000 in the second quarter of 2014. Apartments at the ultrahigh end have been selling for more than $90 million. Were looking at setting the benchmark, Osher told the newspaper. 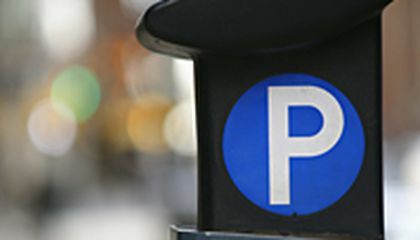 In real estate, location defines value and parking is no exception to that rule. In SoHo, Osher said, there are few to no options for parking, let alone a private spot in your own building. Those who pay $1 million for a parking spot at 42 Crosby St. will not actually own it, either, according to The Times. The condo is selling 99-year licenses for each spot. A license entitles buyers to use the space as long as they are residents of the building and requires that it be sold in the event of a move. it makes no sense why it cost 1 million to park. Futhermore even if you buy the parking spot it only last if you stay a resident. It's hard to believe the cost of parking your car is greater than that of buying your apartment. However, living in New York, finding a parking spot is a difficult task. Perhaps a parking spot really is a million dollars. Regardless, your options seem to be slim, either pay up, or ride a bike. It just seems to be that a parking spot is the last thing I would want to spend such a ridiculous amount of money on, especially in New York. I mean, if it's absolutely necessary then I guess they have to do what they have to do, but it still seems ridiculous to me. I think it cool and all but do you live in apartment if do your lucky. but the down side you going to pay a 1 million for a parking spot at 42 Crosby street. I love New York City, but this is crazy. It blows my mind that there are homeless people living on the streets all around the world, but there are also millionaires buying parking spots and apartments worth ninety million dollars. To me it's just sad because I would like to think that if I had that much money I would use it to help others in need not on a parking spot. I think that it is good that they are charging lots of money to park because then people won't use their cars as much if they can't park and if they don't use they cars as much that will slow down GLOBAL WARMING and hopefully stop it if for centuries people do the same thus saving the world. I feel that if it is aware that parking and spacing are problems in New York City, then government or whoever takes care of those types of things, should be trying harder to rid of the situations, or at least make it less absurd. I already felt parking tolls were annoying, but now this.. This is probably kind off topice but according to the picture this is a huge building whitch could be a skyscraper. Anyway to me charging some one a million dollars for a parking spot is like getting coned by a coned artiist also paying 5,000 dollars for condo is a rip off. Eventhough there's lots of cars does'nt mean you have to charge someone for a parking space. I think the price should drop for the parking lot. a 1 million dollar parking spot, have you heard of that one before ? Me neither. this is a ridiculous price for something less valuable. A parking spot for $1 million? That's just ludicrous and silly. Anybody, if you ask me, who actually buys one of these parking spots has too much money obviously and doesn't know how to use it correctly. And I don't feel like I can say much better about the people creating them either.